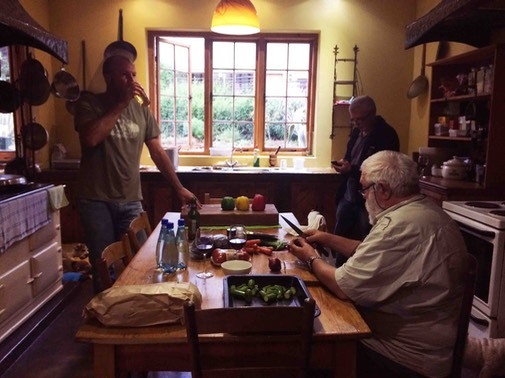 On day three of Woodford's Truffle Orchard Inspection Tour 2015, we arrived in Kokstad, KZN. 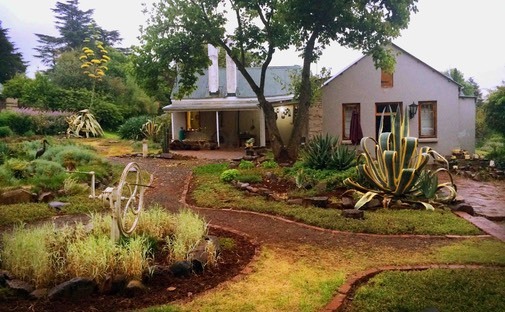 The long-standing family farm was a three hour drive in the Woodford Truffle Bus - from the Durban airport we drove up into the mountains and then into the snow line. The first question potential partners ask us when inquiring about the suitability of their farm location for growing a truffle orchard is "Do I have the right climate conditions for growing truffles". One of Woodford Truffles first orchards established with a passionate farmer who informs himself with solid research and so is able to contribute to research as well as ask us great questions. With his sound base of knowledge about truffle production and with our regular visits and tests, we anticipate an excellent truffle future. Now this farm has grown to three 10 hectare orchards, a total of 30 hectares. The first of two Orchards installed. The farmer has trained his own dogs to be a truffle hunters. Preparing a truffle meal together. We feel that Kokstad is a prime truffle growing hot spot for the Eastern Cape. And, the more farmers we can encourage to produce truffles in this area, the better!